As you begin a new anatomy and physiology course, you will likely feel a bit overwhelmed with the flood of new terminology. Or a lot overwhelmed with all the new terms. If you make this a habit, then you'll find that those few minutes a day can really make a huge difference in your mastery of the terminology of A&P. Click here to browse my many tips for mastering the terminology of A&P. cheated their way through school? 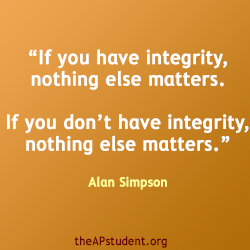 As you begin a new semester of anatomy and physiology, the notion of academic integrity is worth thinking about. What is it? Academic integrity is the honesty with which you participate in your course and other learning activities. Honestly represent personal work as their own. These students do not copy the work of others and represent it as their own work. Communicate with the instructor and others truthfully. These students do not make false statements about computer failures, family emergencies, etc., in order to extend deadlines, excuse absences, or gain sympathy. 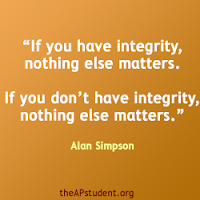 Engage other students with integrity. These students do not enable academic dishonesty by illicitly providing test answers or other academic assignments to other students. They do not "look the other way" when they observe dishonesty, but instead report it to the instructor. The main reason you want to be honest in your anatomy and physiology course is that you need to learn these concepts. A&P is the foundation of everything else you will encounter in your professional training program and your career. If you use dishonest shortcuts to give the illusion that you have learned more than you actually have, then you will be under-prepared for the rest of the course and the rest of your academic program. It's likely that you won't be able to successfully begin your career. If you get through your program by cheating, which is not very likely, you may later cause death or illness in a client! How? Because there will be concepts missing from your professional knowledge base. Now is a great time to develop an ethical, professional mindset. And that mindset MUST include integrity because this is so important for health professionals. You don't want to set yourself up for failure as a professional and as a person, do you? They want to avoid the risk being removed their course, removed from their school, or (later) having their degree rescinded when their cheating is discovered. They want their credentials from their course and their college/university to be "worth something" . . . and the credentials won't be worth much if integrity is not the norm. They don't want to be one of the folks listed in the professional newsletters that have been censured, suspended, license revoked, jailed, sued, etc., for offenses that are essentially failures of integrity. Often, the listed offenses are supposedly "one time, this won't hurt anyone, itty-bitty" cheating incidents, as often claimed by the offenders. They don't want their classmates caring for their family and friends (or handling their health records) if their classmates made it through school by cheating, even a little. 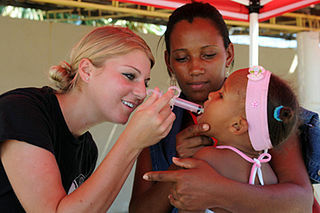 They want to be prepared fully for the next class, the next program, the next profession. And you cannot be fully prepared if you have pieces missing from your training. They don't want to be known by their colleagues, friends, and teachers as a cheater. How will they find folks to give them acceptable references if they are known to be dishonest? When it comes right down to it, you should ask yourself . . . what kind of person do I want to be? You'll sleep better every night for the rest of your life having made the better choice about integrity. This is a big deal when you are older and suffer from insomnia. Just wait. You may want to review my prior article Why are you here? addressing the importance of learning everything you can in A&P . . . rather than just trying to get through it.